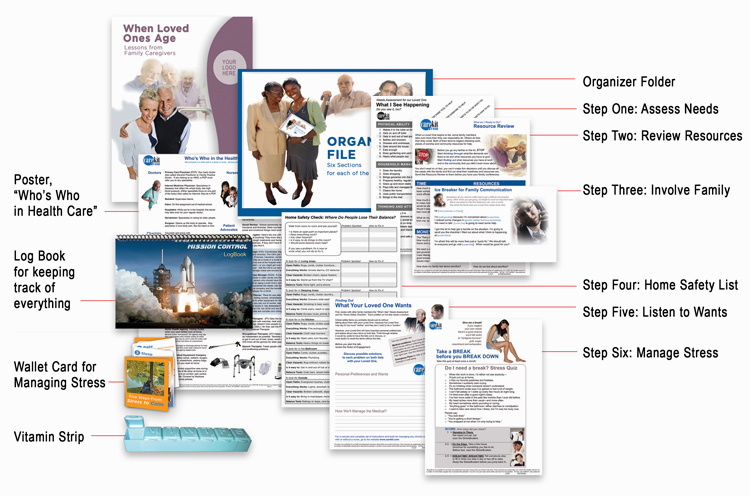 A “Mission Control” kit for caregivers to organize, navigate health systems and stay calm. Health Plans appreciate how this kit minimizes absenteeism and anxiety at work. “Mom had several strokes—and I have 3 kids! My brother and I didn’t know where to start until we got our Care Kit. We have a lot to do, but we know where to go and who’s responsible.” The kit also has tips and tools for managing stress!